In this special edition of Wine and Dime, I had the opportunity to speak with New York 23rd district candidate for Congress, Tracy Mitrano. We talked about financial issues, such as student load debt and medical expenses. Tracy shared with us her concern about these topics, and her plans to help New Yorkers in the 23rd District. And this wouldn't be "Wine and Dime" if we didn't talk about or favorite wines and the foods that we like paired with them... so we did that too. It was a pleasure to speak with Tracy on a variety of topics and get a little insight on a few topics she is passionate about. As with any election, I like to look at all the candidates and decide who is a right fit for me and my family. I encourage everybody to take a look at all the candidates and decide on your own. When people ask me my political affiliation I often respond with, "I'm not a Democrat... I'm not a Republican... I'm an American"
"I'm running to put people first again by fighting to bring economic opportunity to NY-23. It's not about Republican or Democrat. It's about working and middle class people. It's about our children and grandchildren. It's about what we need, what we want, and what we deserve. It's about uniting around our common values and making NY-23's rural communities, towns, and cities a great place to live, work and raise a family." Tracy has incredible knowledge of the local wineries, so much so, that we couldn't possibly list all the wines that were mentioned. So we'll list the wineries instead and you can go take a look at their selections! 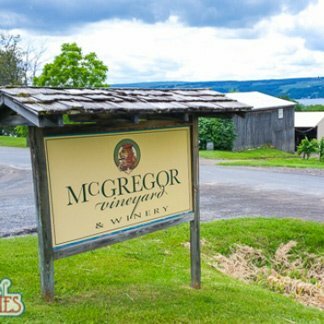 Welcome to one of the oldest wineries in the Finger Lakes featuring estate grown and bottled vinifera wines. We invite you to sample these exquisite wines in our seated tasting room while enjoying the most spectacular views of Keuka Lake. Fox Run Vineyards breaks down the barriers to the wine experience. We offer in-depth tours of the vineyard and winemaking facility, a friendly and knowledgeable staff, and a Café that features a fully house-made menu with produce from our garden. Fox Run Vineyards is family-owned, and has been making estate wines since 1989. 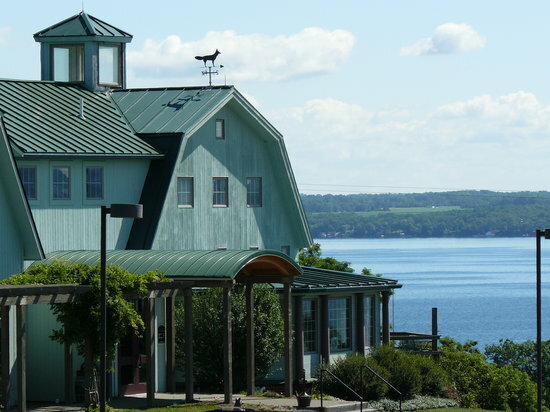 For 30 years, Keuka Spring has been consistently recognized for excellence. Our friendly and knowledgeable staff looks forward to guiding you through a tasting of our award-winning wines. Our wine list includes wines for every taste, handcrafted from vineyard to bottle. We have one of the best selections of red and white wines in the Finger Lakes.